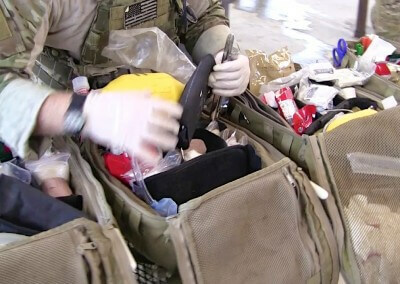 T1G’s medical training is built on the curricula of the Joint Special Operations Medical Training Command (JSOMTC) and the USSOCOM Tactical Combat Casualty Care (TCCC) courses. 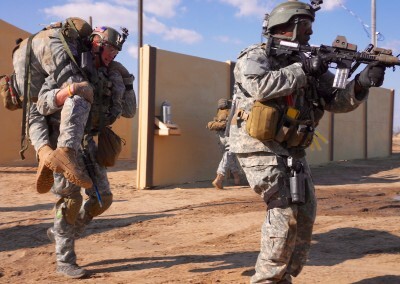 T1G’s staff are seasoned veterans comprised of Army Special Forces, Navy SEALS, Marine Recon, Force Recon, MARSOC, and Air Force Pararescuemen. The majority of our staff has served time at JSOMTC in instructor and NCOIC billets. 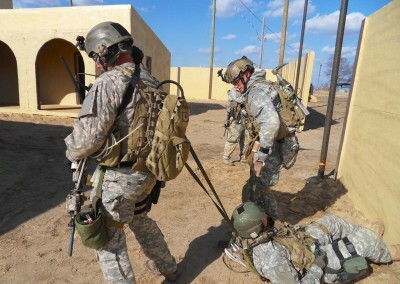 T1G’s 9-second Drop Zone and multiple Helicopter Landing Zones support a wide array of realistic training environments and critical mission exercise scenarios. The custom-built Confined Space/Collapsed Structure Trainer and H-60 Medical CASEVAC Trainer provide for a wide array of relevant training scenarios. 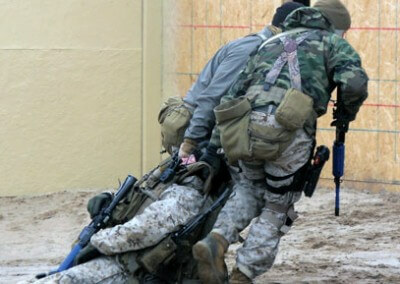 Please contact us with the training specifics your mission requires.